If you are here it’s obvious you believe in working smarter, not harder. You are a busy professional who knows what they want and doesn’t have time for games or long introductory paragraphs. Your time is valuable, my busy friend so we won’t waste any more time. 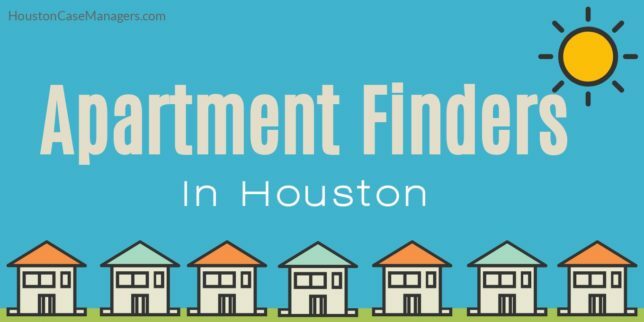 In this article, I’m talking with you about free apartment finders in Houston. What apartment finders in Houston do? How can apartment finders help you? Where can you find your own apartment finder? 0.1 What is an apartment finder? 0.2 Why would apartment finders work for you for free? 0.3 How can an apartment finder help you? What is an apartment finder? It’s nothing complicated, an apartment finder helps you to find apartments. The process starts with you contacting an apartment locator and informing them of the things you need in an apartment. How much you want to pay in rent? These are all questions an apartment finder will speak with you about. Once they have gathered a list of your demands, they will begin painstaking, time-consuming research to find the apartment that best fits your needs. It’s hard work, but you may be surprised to learn that they do this at no cost to you! That’s right most apartment locators do this work for free. Kinda. Why would apartment finders work for you for free? While apartment finders are good Godfearing folks who are motivated to help you, they are also motivated to collect commissions from apartment complexes. Apartment finders do not charge you for their services however, they do receive commissions from the complexes they connect you with. Because of this, they are just as motivated as you are to find the perfect place. Now that you know the basics of what an apartment finder is and why they work for free, let’s talk about how they can help you. How can an apartment finder help you? Time is money and working with an apartment finder can help you save on both. Working with an apartment will help you save on rent. Apartment finders search for an apartment for a living. They know the managers, follow changes in prices and overall they just have lots more information than the average person. Apartment finders can also save you gas money. There is no need to gas up your vehicle and drive across town to find out the apartment complex you choose wasn’t a good fit. Give apartment finders your preferences and let them do the heavy lifting. Working with an apartment finder will help you save time searching the internet. You’ve already got emails and Facebook posts to respond to, don’t waste time jumping from websites comparing prices. Hand it off to your apartment finder and relax. Apartment finders can help you avoid after work apartment hunting. After spending 8, 9, 10 hours at work the last thing you want is a crosstown trip to an apartment complex. 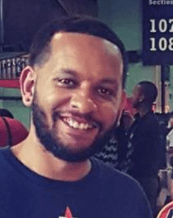 The following are a couple apartment finders who have helped my clients in the past. In order for them to help you, you should have a monthly income of approximately 3 times the rent. If you have a criminal record, evictions or broken leases they can also provide you with a listing of apartments who are willing to work with you. Call Brent at 832.722.9650. You can also email him at Limitlessleasing@gmail.com. Call TJ at 281.704.6979 or 281.818.3045. You can also see more information at his website called Apartment Gorilla. If you plan to move soon you really should solicit the help of an apartment finder. The services they provide are free to you so in honesty, you have nothing to lose. Provide your apartment finder with your list of wants, give it a week and see what comes back. The worse case scenario is they come back with no good leads for you. You didn’t spend a dime so what did you really lose? The best case scenario is they’ve found the perfect apartment with a killer view, a pool, and 24-hour gym. If that happens I definitely want an invite! Have you used an apartment finder in the past? What was your experience?